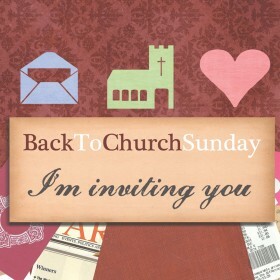 The first of our 5 invitational events is Back To Church Sunday, which many of you will have run before. Most churches hold this service on the last Sunday in September. This is a great opportunity to invite those who may have been to your church before for a wedding, baptism or funeral. Lots of people that we know may have been to church when they were younger for Sunday school – but haven’t been back since. You can then invite them back again to Harvest, Remembrance and the Christmas Services at your church.